Completed a site improvement design to accommoda te the refurbishment of a building from a cabinet making shop to a contemporary dental office. 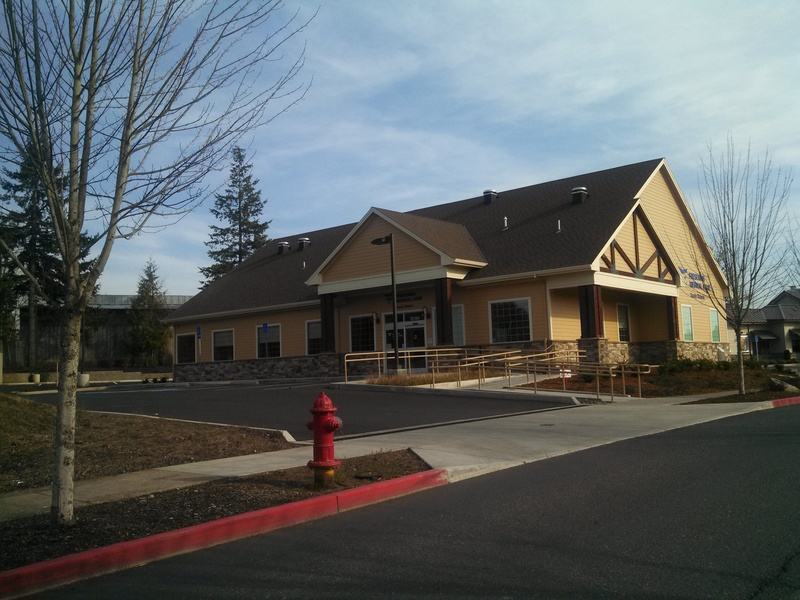 In addition to the private parking and site improvements the project entailed public street frontage improvements along Division Street and 92nd Street in the City of Portland. Prepared civil engineering, land surveying and assisted with the planning for site improvments related to new medical facility. Prepared planning application and grading and construction plans for the expansion of the athletic club parking area to allow for overflow parking. 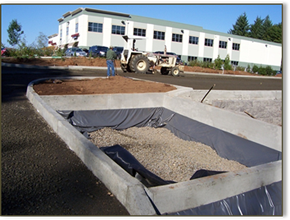 The design incorporated a three celled vegetated filtration planter box to treat the stormwater runoff from the impervious parking lot area. Firwood provided construction inspection services and worked closely with the contractor to insure the planter box was properly constructed and planted. Completed a site improvement design to accommodate a new 10,000 sq. ft building. 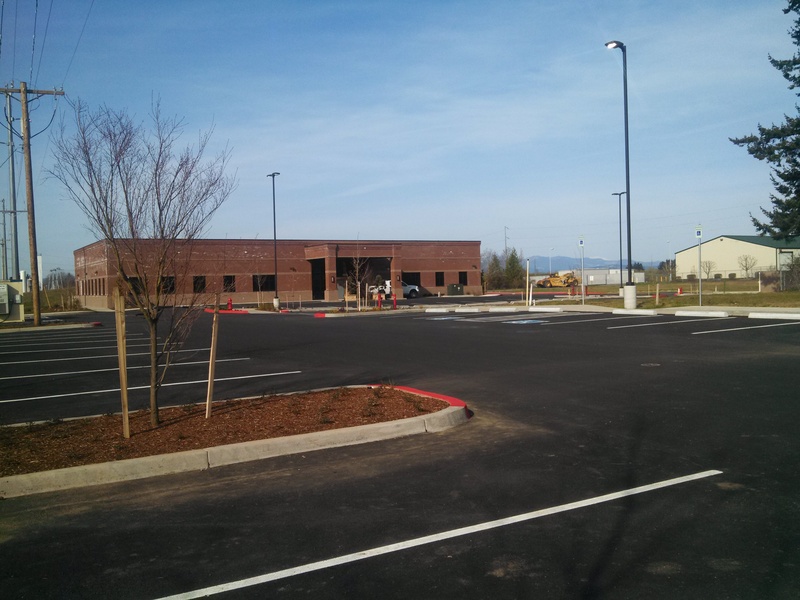 Project entailed City of Gresham public improvements, site improvements for parking areas, future building pads, storm water and unterground utilities including a dedicated fire suppression line for the building. FDG assisted with partition the property into three parcels, Design Review for the City’s land use permits, and securing public improvement permits. FDG facilitated the planning, survey and engineering design services in support of a new 7,000 sq. ft. dental facility. Planning applications included a zoning change and a conditional use application for the new medical facility. FDG also facilitated all coordination to secure ODOT Highway Approach and ROW permits for improvements related to OR State Hwy 211. The site improvements included parking, storm facilities, new public water line and public sanitary sewer line extensions and private connections to the building, ADA parking and accessible ramps, and sidewalks. FDG provided survey and inspection services during construction as well. FDG facilitated the planning, survey and engineering design services in support of a new 4,000 sq. 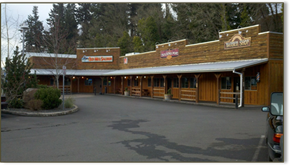 ft. retail building in Estacada, OR. Site improvements required loading areas, parking, ADA access, landscaping and stormwater management systems. Worked closely with the owner regarding the use of the building and accommodating access and traffic patterns. 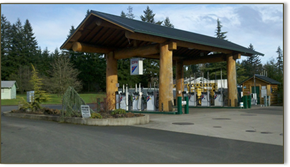 FDG facilitated planning land use permits with Clackamas County and design all site improvements for a new commercial fueling station in Boring, OR. 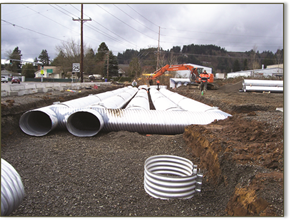 Site improvements involved stormwater design for detention and water quality, site grading, circulation patterns and access coordination with ODOT for Hwy 212 access improvements. FDG prepared the land use applications and preliminary final engineering designs for a new automotive general commercial building located in Boring, OR. A portion of the site contained sensitive wetland areas so to facilitate some of the improvements credits from a wetland bank were purchased to offset the impacts from the development. FDG coordinated this effort along with all permitting and plan review with Clackamas County improvements.